Guiding Elements - Les Joints Étanches R.B. Inc. 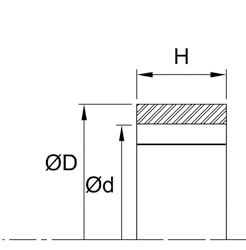 The W-Style wear-rings are primarily used on hydraulic/pneumatic cylinder pistons and rod glands. Their main function is to prevent metal-to-metal scoring as well as insuring that reciprocating parts are properly centered. Usually manufactured our of glass-filled Nylon, other popular materials are also available. The WS-style is made of fluorinated polymer and fortified bronze (other fillers available upon request). Designed to eliminate scoring in hydraulic and pneumatic applications by preventing metal to metal contact; WS-Wear strip is effectively used for reciprocating. rotary and oscillating motion. The tape form allows the product to be installed economically. whether for new installation or repair. 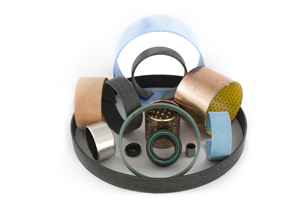 “DU” self­lubricating bearings offer very good wear and low friction performance over a wide range of loads, speeds and temperatures in dry running conditions. - Suitable for lubricated applications. - Suitable for linear, oscillating and rotating movements. 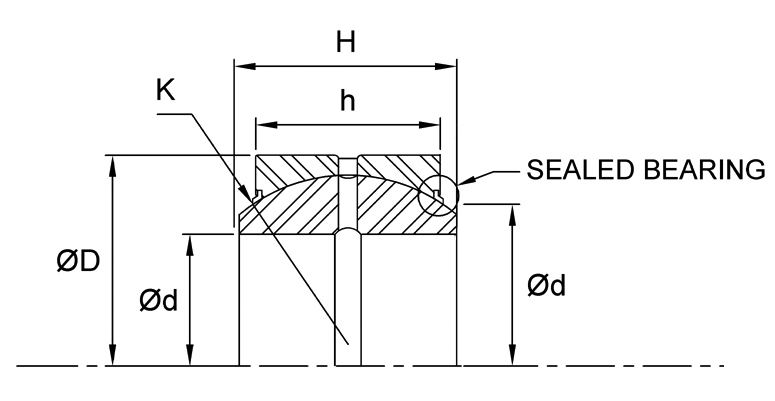 SBB-style Radial spherical plain bearings have an inner ring with a sphered convex outside surface and an outer ring with a correspondly sphered but concave inside surface. 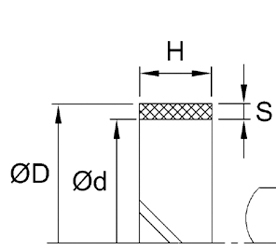 Their design makes them particulary suitable for bearing arrangements where alignment movements between shaft and housing have to be accomodated, or where oscillating or reccurent tilting or slewing movements must be permitted at relatively slow sliding speeds. Similar to the SSB-style, the 2RS-style incorporates seals on the outer race to prevent the ingression of harmful contaminants.